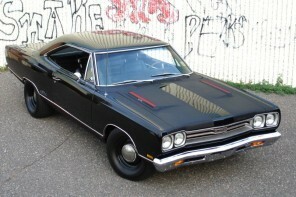 My first car was a 67 Wildcat. Way too much car for a 16 year old. But I loved it. Very similer style to the 64 Buick Skylark. The 66 Olds 442 with optional overdrive was beast and the 66 Gto with 389 and 3 deuces was also a screamer but this one you have could also hold its own. you are lucky and should be proud. Red Line Cokers would look good on this also. Thanks for sharing. Very nice and very fast and quite luxurious also. Thanks for keeping the appearance close to circa. Not sure why, but when I found this car, the hood scoops were painted flat black. They were body color on the GS400 and Red on the GS340. I just kept it when I had it painted. Stage 1 option for the 400 CI was brought out in 1968 as a dealer install. 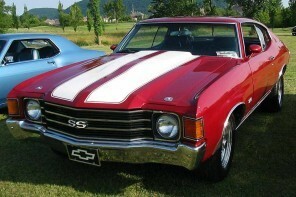 In 69 Stage 1 was a factory option and the Stage 2 for the 400 was a dealer install. Not sure yet what’s in the engine. It does have the Stage 1 parts on the outside, but it has plenty of power so I haven’t rebuilt the engine yet. Also the original rear bias ply tires that came on it were bolted to the rims. They drilled holes in the rims and screwed the tires to the rims. Carpet was tore out of it and a B&M race shifter was in it. And a very old Tach. GS’s were also built on convertible frames. Yes Wildcats were on the larger LeSabre/Electra frames. Very nice Ride Manson! but wait til you see this 65″ I’ve been playing with! 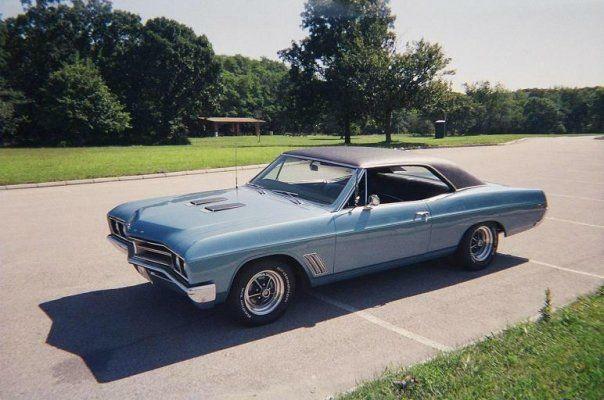 very nice , Manson..I had a black one years ago…great cars..
67 skylark.had 2 of them. Wildcat was built sort of like that. my cousin had one of these in silver. it had a 400 and 4 speed trans. This is my 67 Buick GS400. 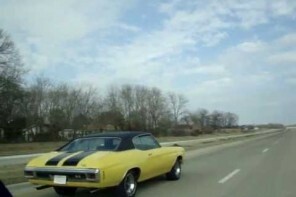 1970 Chevelle SS 454 Hammers Down on Freeway!